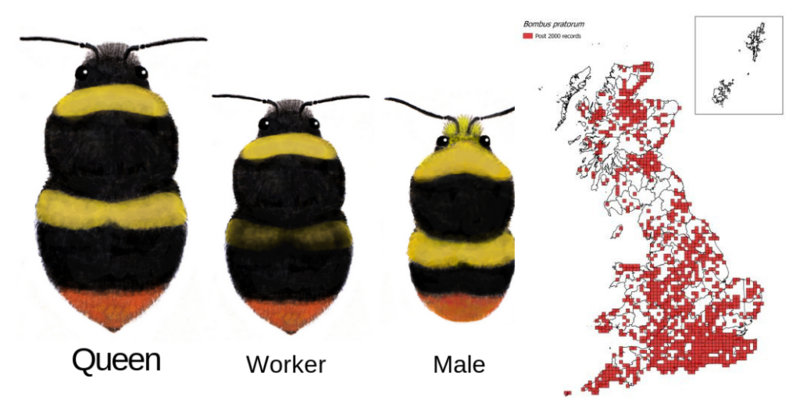 Did you know that by identifying bumblebee species you can help us to conserve them? 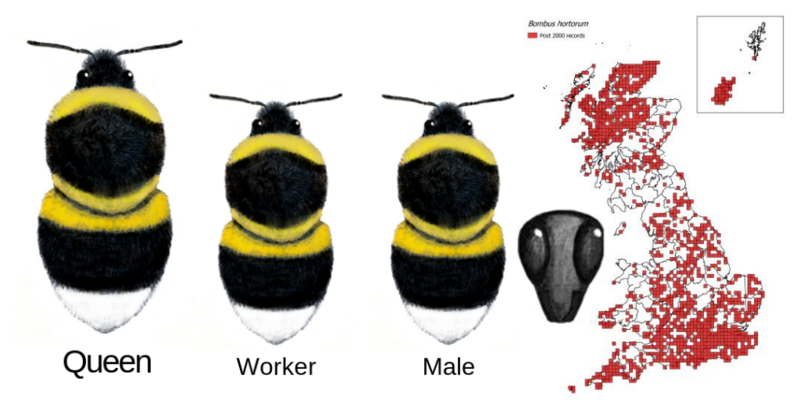 You can do this by adding your bumblebee sightings to the online wildlife recording survey iRecord, or by signing up for BeeWalk, our national monitoring scheme where you walk a short local transect once a month, recording the bumblebees you see along the way. 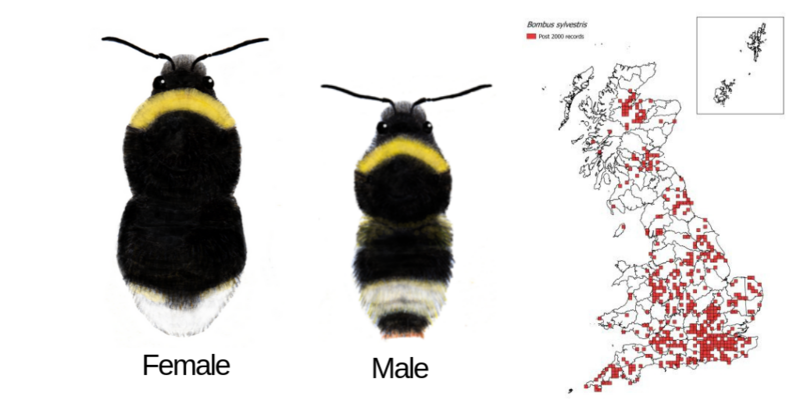 It is easiest to start identifying a bumblebee by its tail colour, followed by the number of bands on its body. 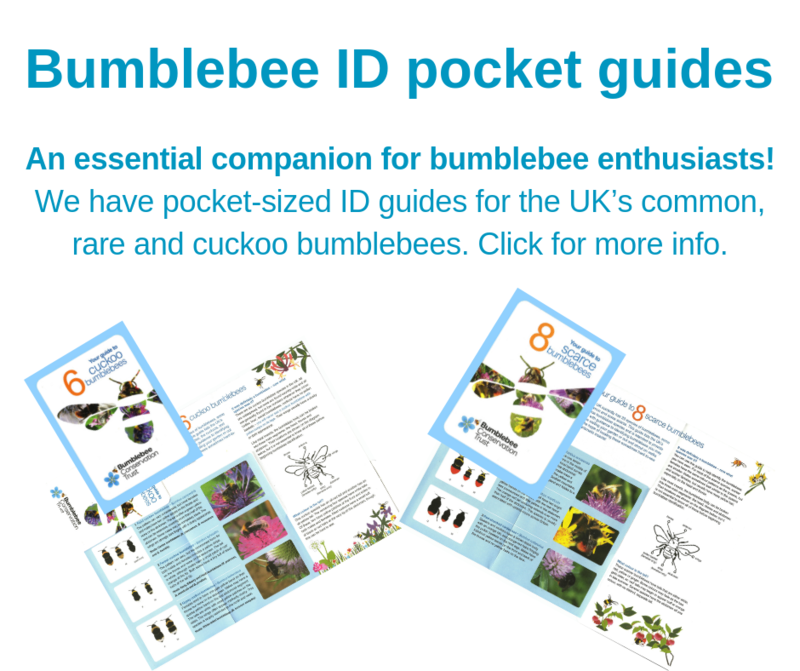 Click here for more tips on how to ID a bumblebee and click here to learn how to use your own photos to help with ID. 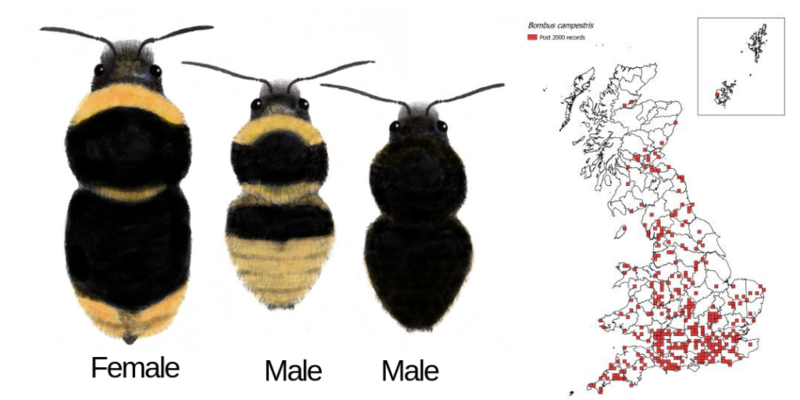 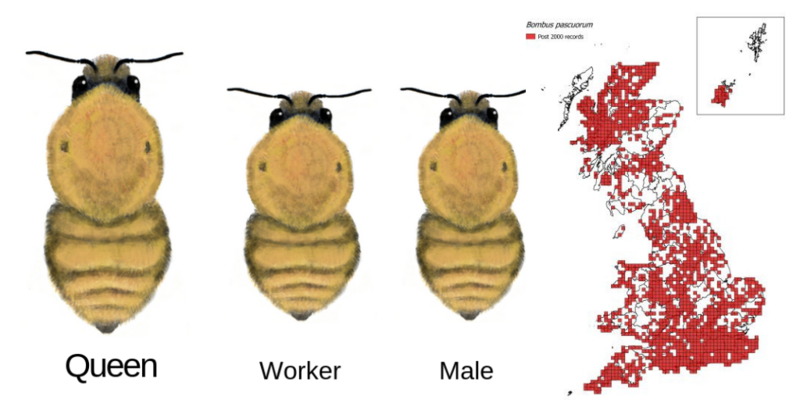 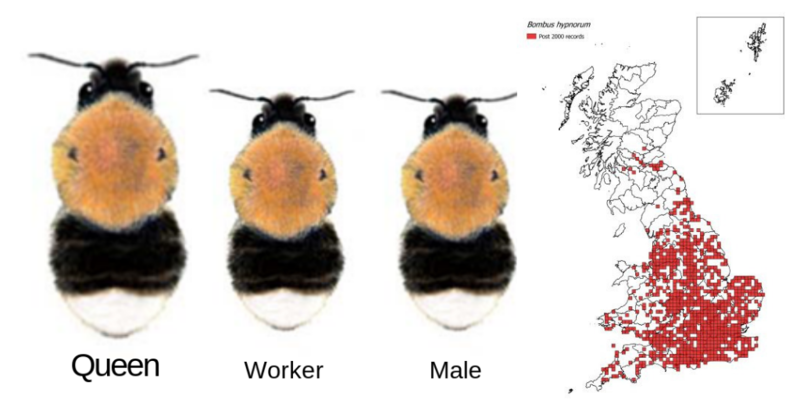 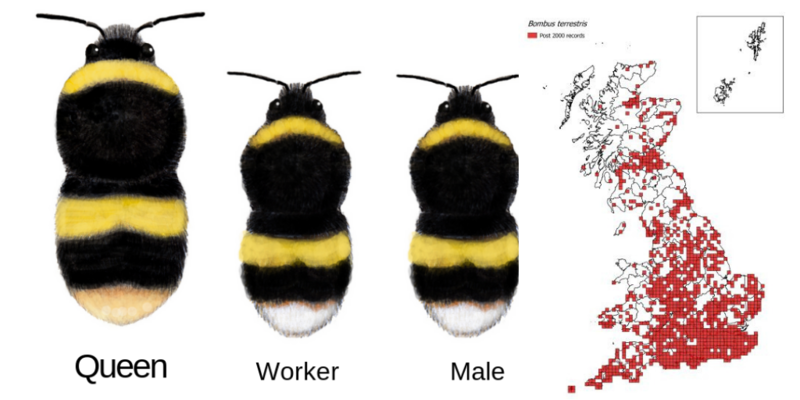 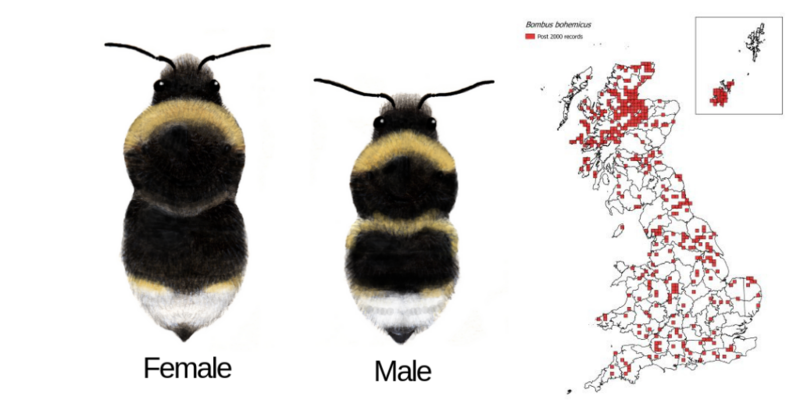 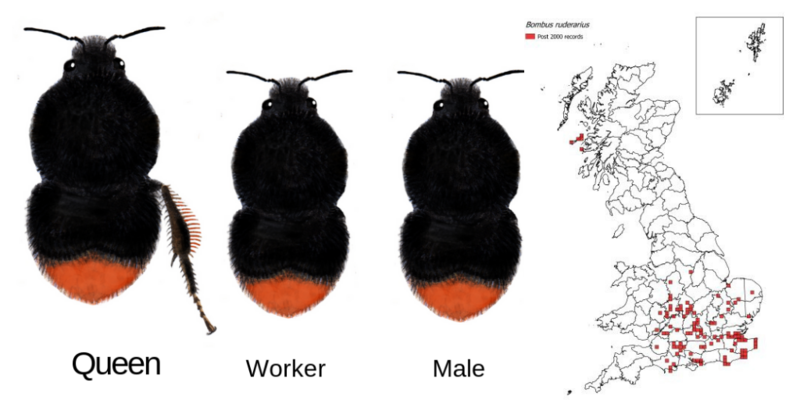 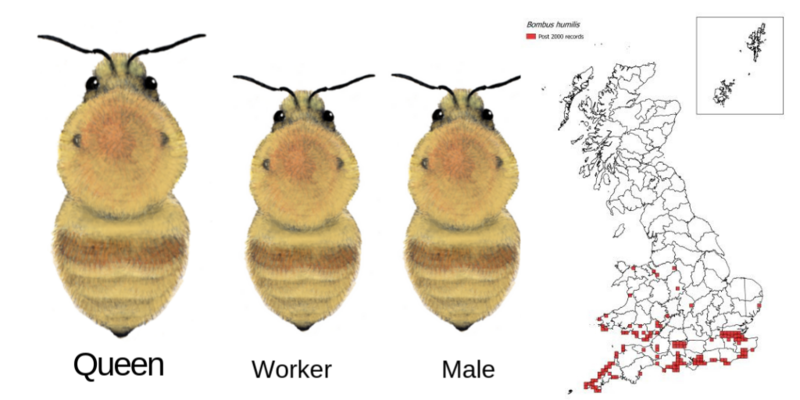 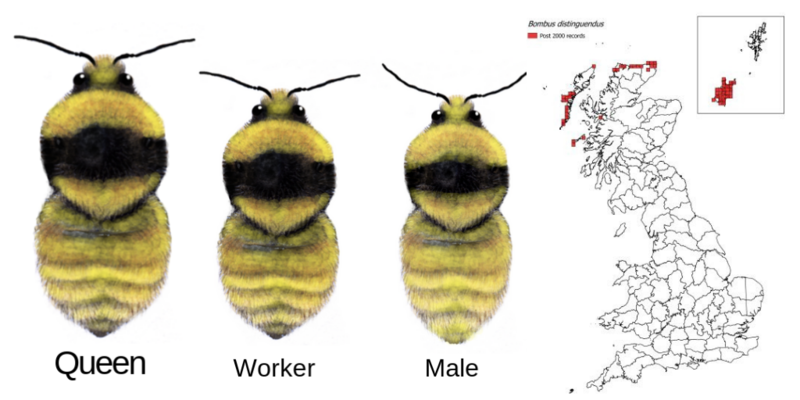 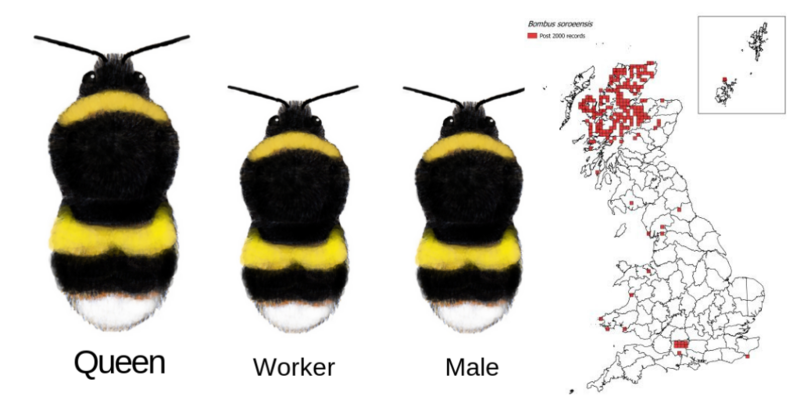 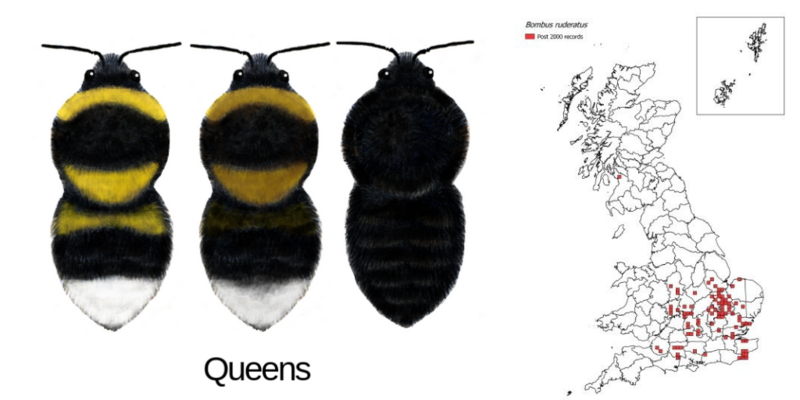 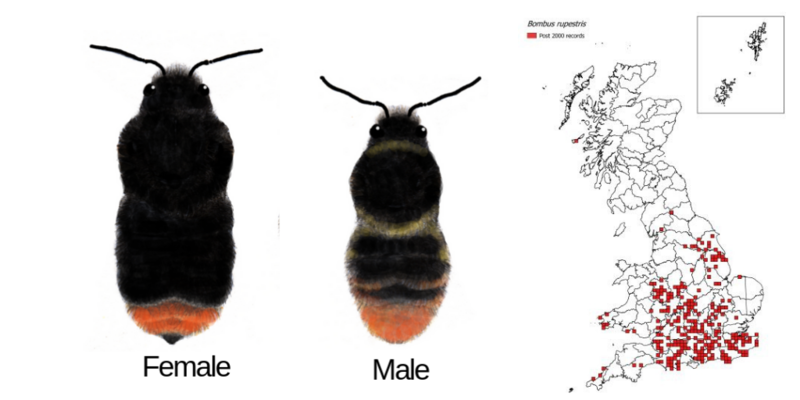 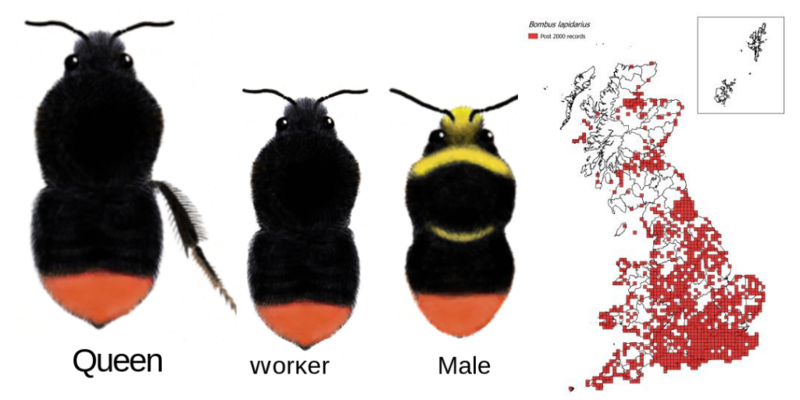 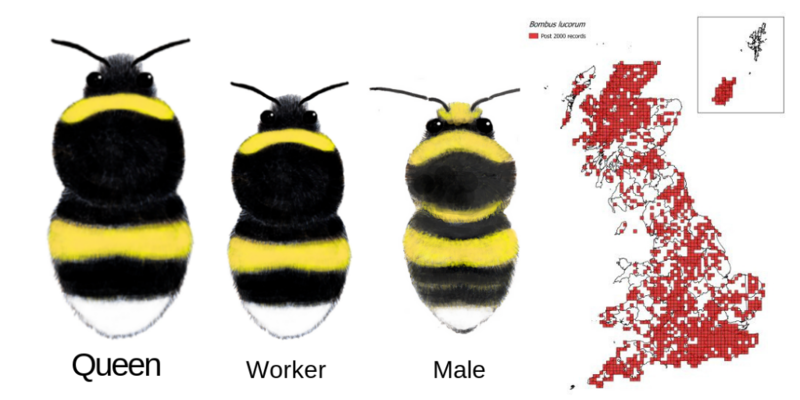 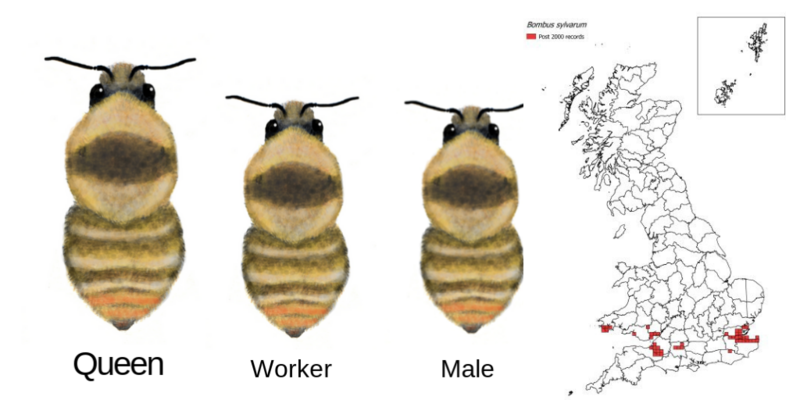 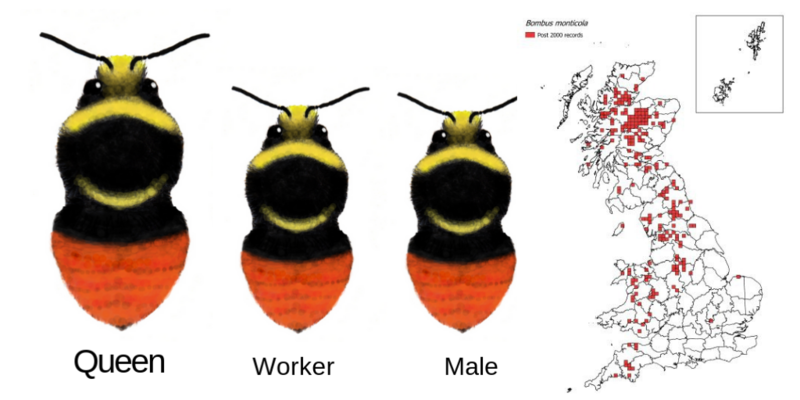 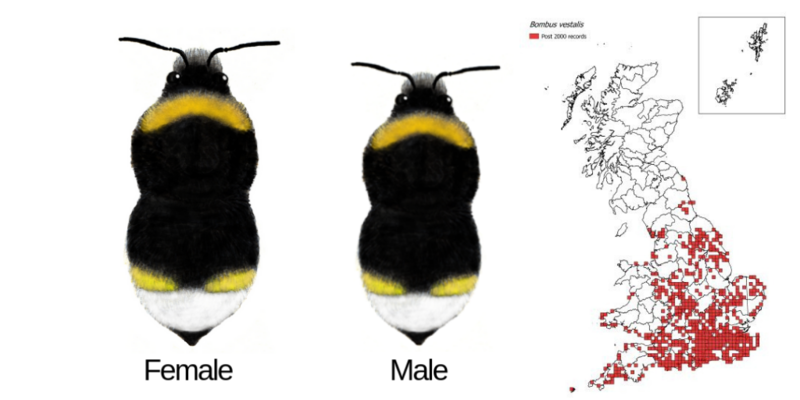 Below are illustrations of all the bumblebee species you will find in the UK, with distribution maps to show where you might find them. 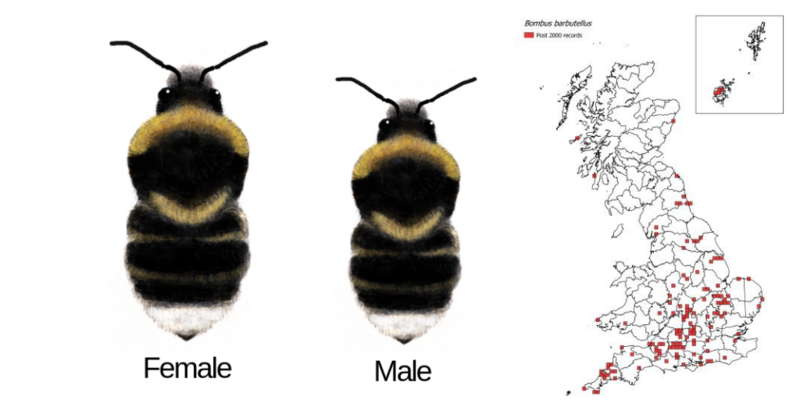 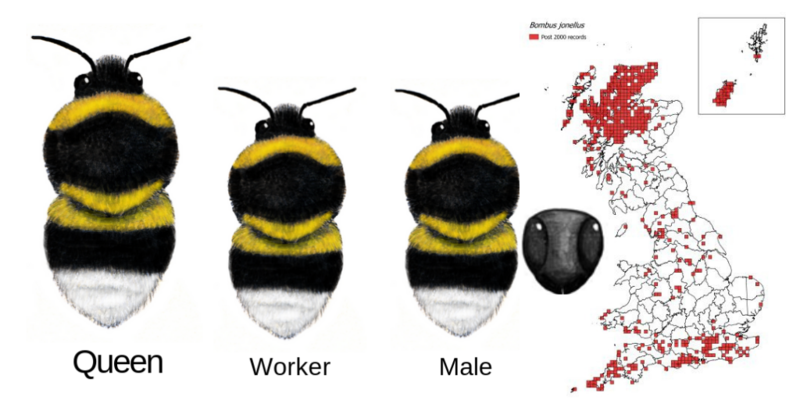 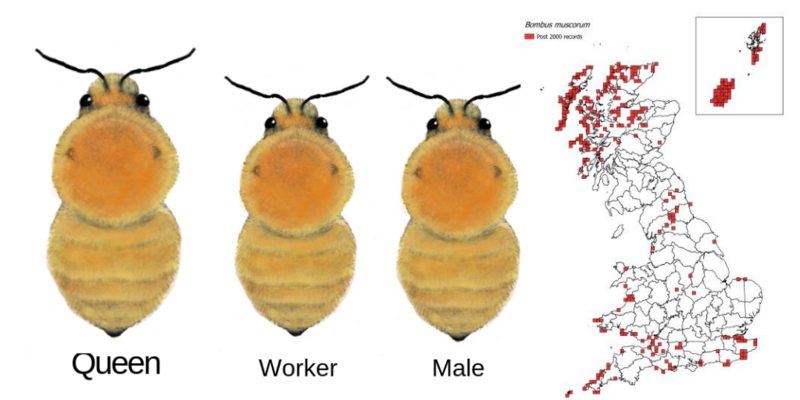 Click on the illustrations to find out more about each bumblebee species and their distinguishing features.